James William Tinkler was born in 1886 in the Grantham district, son of George Tinkler b.1855 in Muston, and Ann Tinkler (nee Redshaw), b.1857, from Corby, Northamptonshire. George worked in the ironstone quarries. In 1891 their home was on Village Street, Muston, where there were five children: Mary A (aged 11), Emily R (10), James W (4), Agnes L (3) and baby Frances. In 1901, they lived on Chapel Lane, Muston. With George and Ann were James (now a 14 year old brickyard labourer, like his father), Agnes (13, working as a housemaid), Lois (10) and Amos (7). Then in the 1911 census, there was only George, Ann and James William, now 24 years old and still working in the ironstone quarries. In 1912, on the 8th January, James married Mary Jane Hagley Pacey, the 29 year old daughter of John Thomas Pacey of Woolsthorpe, in Muston. As with many of the men investigated, it has not been possible to identify James William Tinkler’s service record with certainty. However, two plausible candidates have been found. One is for 118348 Gunner James William Tinkler of 259th Siege Battery, Royal Garrison Artillery. He joined up on the 15th September 1916 and served until the 14th March 1919. After seven months in the field he underwent treatment for a gunshot wound to his left leg between the 3rd and 7th October 1917, and was able to return to duty. However, he was later issued with a Silver War Badge, No. B185193, as being “No longer fit for war service” under King’s Regulation 392(xvi). There is a problem in that the record gives is age as 37, which assuming it was his age when he was discharged in 1919 would mean that he was born in 1882, whereas the Muston man was born in 1886. The other candidate is 40788 Private J W Tinkler, 1/7th Battalion Cheshire Regiment. He was described as “attached to Trench Mortar Battery”. He was awarded the DCM. 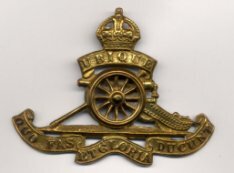 The citation says “During the attack at Moen, on 25th October 1918, he promptly carried is trench mortar over open ground under heavy machine gun fire to a position from which he could engage the enemy post. He ran short of ammunition, but by repeated journeys to his old position he was able to keep up the fire”. Regrettably, it has not been possible to determine which if either of these soldiers was James Tinkler from Muston. The first is preferred here on the slender basis that it would be unusual for a man from the Belvoir area to join the Cheshire regiment. James William Tinkler was registered as voter in Muston, living on May’s Row between 1921 and 1931, then he appears in the 1939 register living on Post Office Row, Muston, with Edward Tinkler (b/7th May, 1909) and his wife Frances A. (b.30th May 1912). James himself was a widower by this date. He died in 1947, aged 60, and was buried on the 16th May, 1947, at Muston. Provisional identification pending further information.